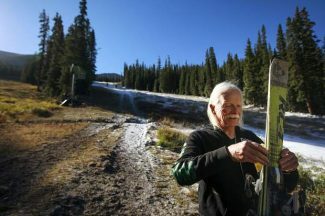 The Road to Pyeongchang ran straight through the Colorado High Country in 2017 and 2018, as both established international stars and rising local talents alike seized their Olympic opportunities. 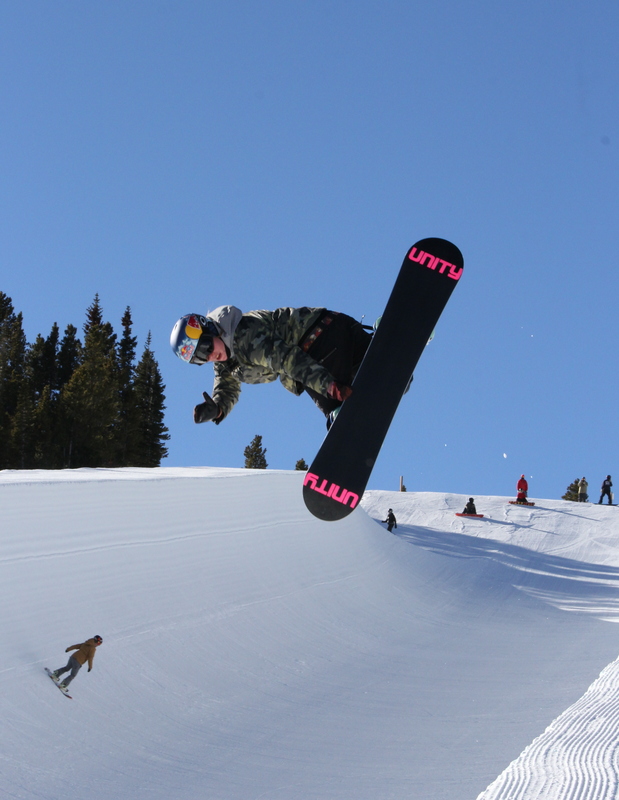 During a two-week stretch in December, focus turned to Copper Mountain Resort and Breckenridge Ski Resort as the Toyota U.S. Grand Prix at Copper and the Dew Tour at Breckenridge served as two of just a handful of Olympic qualifiers for snowboard and ski slopestyle, big air and halfpipe. 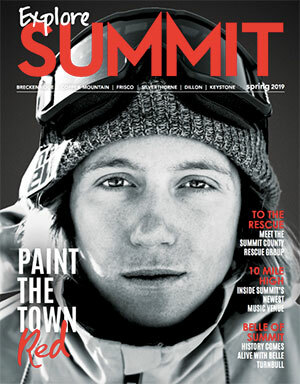 After the dust settled in Breckenridge, Copper, Aspen and Mammoth, and the final lists were announced, all eyes turned to the international stage of the greatest competitive event in the world, and Summit prepared to cheer on its locals. At first Olympics, can soaring Corning bring home the gold? What a seven-day stretch it was for Chris Corning from Dec. 10 through Dec. 16. Here at home in Summit County, the 18-year-old from Silverthorne fought through the searing pain of a sudden contusion in the area of his lower back and hip to register Olympic qualifying runs of 91.50 at a Dec. 10 big air event and 95.00 at a Dec. 16 slopestyle event to book his ticket to Pyeongchang. 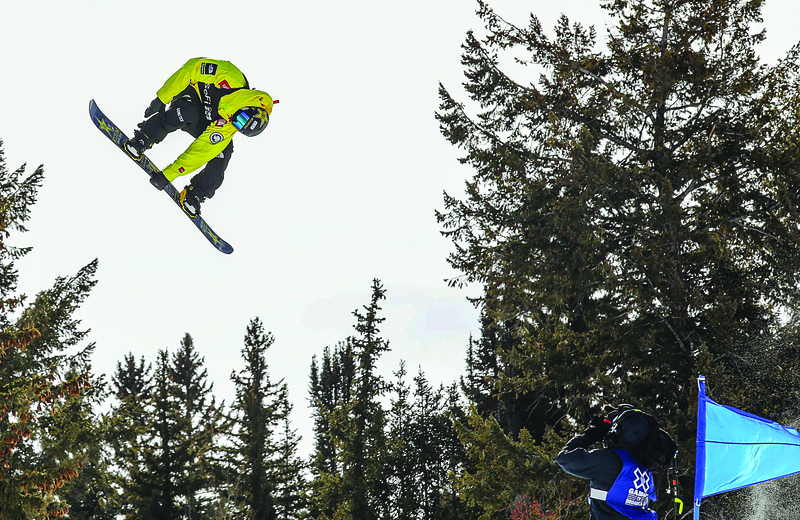 A year after he broke his foot on the last practice run at the same U.S. Grand Prix event at Copper Mountain Resort, Corning on Dec. 10 fell and injured his left hip and lower back while landing a big air practice run at Copper Mountain. The injury came at one of the worst possible times for Corning, just minutes before the Grand Prix final was scheduled to start. And after a 2017 where Corning’s broken foot prevented him from amassing any Olympic qualifying points at the lone previous Olympic qualifier in February 2017, it was critical for Corning register points at the Copper Grand Prix and the ensuing week’s Dew Tour. Dropping out was not an option. That place was Copper, a resort where Corning partially learned the fundamentals of becoming an elite international snowboarder at camps at Woodward at Copper. Corning landed a backside, triple cork 14 on his second run at the Dec. 10 Grand Prix to take second place and earn 1,000 Olympic qualifying points. Then a week later he’d earn another 1,000 qualifying points and clinch an Olympic spot by nailing a soaring back triple 14 on the Breckenridge course’s final jump to sew up that second place 95.00, first among Americans. So heading into Pyeongchang, a Summit County friend of Corning has some free advice. Seventeen-year-old Silverthorne snowboarder Red Gerard secured the second spot on Team USA’s snowboard slopestyle/big air team at the penultimate U.S. Olympic qualifier at the U.S. Grand Prix at Snowmass from Jan. 10-13. Olympic qualification is another highlight in a young career full of them for Gerard, a well-known young talent who has snowboarded since the age of 2 and shredded on his family’s backyard terrain park. It’s one he and his brothers — with the help of close friend and fellow Olympic snowboarder Kyle Mack — built and filmed Gerard on, as he is one of seven siblings. This time last year, Gerard burst out of the gate in 2017 at the top of the U.S. snowboard slopestyle and big air qualification by winning last February’s U.S. Grand Prix at Mammoth Mountain, the first qualifier for the 2018 games. Gerard followed that up with a second place finish among Americans at December’s Dew Tour, putting him on the doorstep of Olympic qualification with those 1,800 overall points and the minimum criteria of a top-three finish at a previous Olympic qualifier. Heading into the Snowmass qualifier and the final Olympic qualifier at Mammoth Mountain in California a week later, for Gerard, it was simple: If he finished as the top American again at either, he was a lock. And two weeks after he punched his ticket to Pyeongchang, Gerard returned to Aspen’s Buttermilk Mountain and was the top X Games slopestyle qualifier before he finished as the top American finisher in the snowboard event, finishing in fourth place. It didn’t occur until his final run at the final U.S. Olympic qualifying event of the 2018 cycle, but Kyle Mack’s enthralling victory at the U.S. Grand Prix at Mammoth Mountain, California, on Jan. 20 made it three-for-three for Silverthorne snowboarders in securing the first three qualifying spots to the Olympic games. The 20-year-old Mack’s victory at Mammoth was punctuated by a hug with Gerard, a close friend three years his younger with whom the West Bloomfield, Michigan native Mack lived for extended period of times before Mack moved full-time to Silverthorne last year. Mack followed up the Jan. 20 Olympic qualification by joining his fellow Silverthorne snowboarders Gerard and Chris Corning the following weekend in Aspen as the sole Americans to qualify for the X Games final at Buttermilk Mountain. The first snowboarder to land a triple cork Japan in competition, Mack headed into the Pyeongchang Winter Olympics riding some of the best momentum of his young career, as he’s proven himself at recent U.S. Grand Prixes and at the X Games as consistent enough to land contending scores against some of the world’s best — his close friend Gerard included. 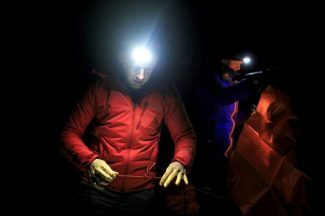 He’s also exhibited his pride for his country, as the young snowboarder sported a yellow North Face jacket with an American flag across the back at both the Mammoth U.S. Grand Prix and at the X Games. A longtime friend of Gerard’s, Mack is also very close with Red’s older brother Malachi, with whom Mack has spent dozens of hours in recent years building the Gerards’ famous backyard terrain park. Arielle Gold enters the Olympic women’s snowboard halfpipe event as one of the prime contenders to knock off her Team USA teammate and gold-medal favorite, X Games champion and 17-year-old American snowboard phenom Chloe Kim. But when Gold, who grew up in Steamboat Springs and lives in Breckenridge, competes at Phoenix Snow Park, what gear will she be entrusting to help her execute her best performance? There are plenty of giants in the snowboard industry, but Gold gets her boards from a relative shrimp, at least in terms of market share. A two-time Olympian, Gold said she’s found exactly what she’s looking for. Gold rides the 152-centimeter Origin board from Unity Snowboards, a small 1,000-board-per-year company that’s been hand building boards in Summit County for more than 20 years. They still do today out of the corner of a two-story warehouse in Silverthorne. She gets two new boards every autumn and had no plans to switch up anything before arriving in Pyeongchang, South Korea, for the 2018 Winter Olympics. Made in Silverthorne, Gold’s board is a custom-made version of the 152 Origin with a full-length aspen and maple wood core. Since 2002, Amy Purdy has wowed the sports world with her prowess on the slopes, sweeping up titles and medals in adaptive snowboarding, including three back-to-back World Cup gold medals and a bronze medal in the 2014 Paralympic games in Sochi. Now, she has her sights set on Pyeongchang. Purdy is familiar with challenges. 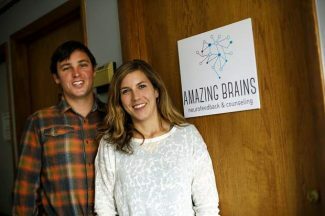 At age 19, her life changed forever when she contracted an extremely rare form of bacterial meningitis that put her in the hospital with a less than 2 percent chance of survival. She beat those odds, but in the process lost her kidneys, spleen, the hearing in her left ear and both of her legs below the knee. Instead of dwelling on her losses, Purdy focused her energy on pushing the boundaries of her limits. Through research and hard physical work, she found her way back onto a snowboard, working to discover just the right prosthetics that could return her to the sport she loved before her illness. Having figured out how to continue snowboarding, Purdy wasn’t content at keeping it to herself. 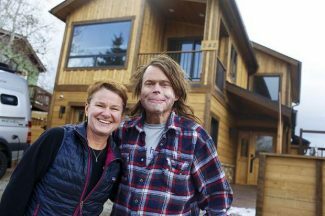 In 2005 she and her now-husband, Daniel Gale, started Adaptive Action Sports, a nonprofit organization based out of Copper Mountain, dedicated to helping youth and young adults with physical disabilities to compete in active sports. Sports events aren’t Purdy’s only time in the spotlight, either. She’s competed on “The Amazing Race,” was the final runner-up on the “Dancing with the Stars” in 2014, and makes appearances across the country to give motivational speeches, among many other things. At the moment, however, Purdy is focused on the Paralympics, and Pyeongchang. “I’m having more fun than ever and really enjoying the journey,” she said of her training for South Korea. “I’m giving it everything I have and realizing I’m a much stronger competitor than I was going into Sochi. I also am coming back from a year of injury last year, so physically I’m not my strongest but when it comes to riding and skill set I have improved significantly.